Check out the Amazon Deal of the Day on Harman Kardon Headphones. 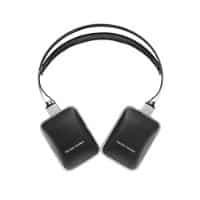 Today’s Amazon Deal of the Day is for Harman Kardon CL Headphones. The headphones typically retail around $249.95. Today only, you can purchase the acoustic headphone for just $59.95! That’s a savings of a whopping 76% off the regular price! The headphones are made especially to use with your iPhone or iPod.